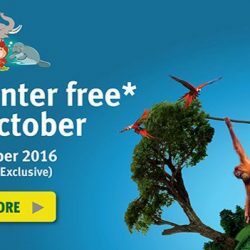 Enjoy $20 off admission tickets when you visit both River Safari and Singapore Zoo, exclusively for local residents! Valid for same-day admission from 27 May to 24 June 2017. Terms and conditions apply. 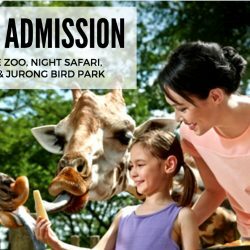 Till 31 Mar 2017 Singapore Zoo/River Safari: Enjoy 50% OFF Admission Tickets when You Visit Both in March! 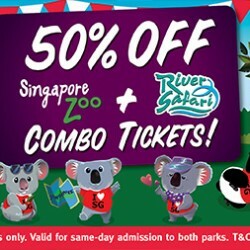 Enjoy 50% off admission tickets when you visit both River Safari and Singapore Zoo. Valid for same-day admission from 1 to 31 Mar 2017. Terms and conditions apply. 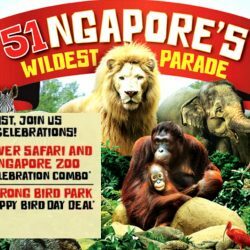 Celebrate the National Day by bringing your family or friends to the Singapore Zoo and River Safari! 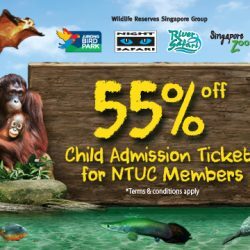 For the month of August, local residents enjoy 51% off Singapore Zoo and River Safari combo tickets, same day admission. 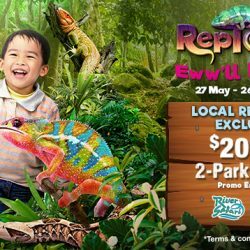 Get 10% off when you buy River Safari tickets at BeMyGuest with this coupon code! Valid till 1st May 2016. Visit Kai Kai and Jia Jia now! Bring your family to visit Kai Kai and Jia Jia this March holidays! Buy 2 admission tickets and get 1 free from now till 31 March 2016. 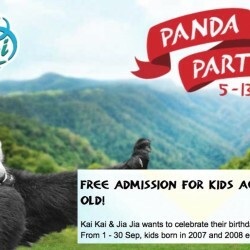 Join in the birthday celebrations at River Safari as #KaiKaiTurns8 and #JiaJiaTurns7 this September! Kai Kai & Jia Jia wants to celebrate their birthdays with you! From 1 - 30 September 2015, kids born in 2007 and 2008 enter River Safari for free! Have you been to see Jia Jia and Kai Kai, the two adorable pandas at River Safari? 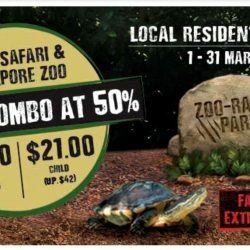 If you haven't, you can grab River Safari's latest promotion for SG50 to save on 50% off the entrance fees to both Singapore Zoo and River Safari!